Net Metering, also known as Netmetering or Net Energy Metering, is a billing process by which solar energy producers are credited for the energy they produce. On each monthly electric bill a net metered customer is billed only for the net amount of energy consumed from the grid. This energy flow is measured by a single bi-directional utility meter that can “spin” forward and backward. The meters used are digital, so they don’t really spin like the old analog meters, but they have the advantage of displaying the cumulative energy flow in each direction and the net amount. During the day when you are not using as much energy as your solar panels produce, you will be sending excess energy back to the utility grid, and the utility company will sell that excess energy to other customers, crediting you for that excess energy produced. During the day when your electrical usage is high you will be using energy produced by your solar panels and from the utility grid simultaneously and seamlessly. At night when you are not producing any solar energy you will use energy from the utility company. Technically there is a fourth possibility whereby you can store excess energy in batteries and deliver energy to the grid at any time, but this is costly and impractical given Florida’s current rate structure. You can see why the utility company, except at night, will never really know your true consumption or production of energy, and will only be able to see the net amount of energy being delivered to or received from your home or business. Net metering is the fair accounting of energy delivery and receipt, and the mechanism by which solar energy producing customers are credited for their energy production from month to month. Excess energy generated during the day is generally credited to the customer at the full retail rate and put “in the bank” to be used in subsequent days and months when a shortfall exists. At the end of the year (at least in Florida), if you have produced more energy than you have consumed, the utility company is obligated to pay you for the excess energy you delivered to the grid. However, you will only be paid the wholesale rate, known as the “avoided cost rate,” “as-available energy tariff,” or COG-1 tariff rate. The utility company sells that energy to others at the full retail rate, making their normal profit. 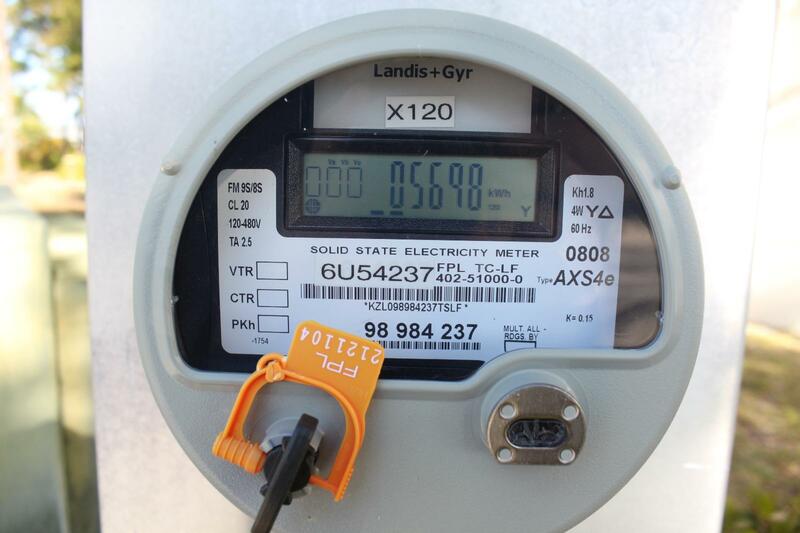 Net metering in Florida is governed by Rule 25-6.065, F.A.C. known as the Interconnection and Net Metering of Customer-Owned Renewable Generation rule. The Florida Public Service Commission is charged with adoption and oversight of the net metering rule. Net metering is a popular and common mechanism by which solar panel owners are allowed to connect to the utility grid. It is a relatively simple and cost effective way of interconnecting parallel energy sources and metering the resulting energy flow. Net metering is not a subsidy, and it is not an incentive. In the recent propaganda war waged by utility companies around the county, many have characterized net metering as a handout that favors solar energy producers. Again, net metering is just a billing process by which the net amount of energy consumed on a monthly basis is recorded. Net metered customers do not get paid a preferential rate for the energy they produce as is the case in other interconnection and accounting methods. For example, a feed-in-tariff billing mechanism requires a second solar production meter that just measures the amount of solar energy produced. In effect, all energy produced from your solar panels is sent back to the utility grid and you receive a preferential rate for this energy. You then purchase all of your energy consumed from the utility company at the normal rate. This is an incentive or subsidy, but this is not net metering. Customers of investor owned utilities are not subsidized by the utility company’s ratepayers for solar energy production. They only receive the equivalent amount of credit for energy for which they pay at the same rate as every other utility customer. The utility company talking points in the court of public opinion state that solar customers are subsidized be non-solar customers, making energy cost more for everyone. This assertion has been refuted by many studies, and the utility companies have not supplied any evidence to the contrary. They rely on over-simplifications that sound convincing to the public, but are not based on any real data, at least that they have been able to produce. While it’s true that the economics change at higher penetration rates for distributed solar energy, we are a long way from having enough solar energy for those concerns to become reality. There is a lot of talk right now about how solar energy producers should be compensated for energy they produce, and at this time net metering makes sense for Florida and should remain the law of the land. In fact, a 2016 ballot initiative put forth by utility companies attempts to amend the state constitution to solidify net metering as the billing mechanism of choice, but they simultaneously fill the amendment with other fees that would make netmetering non-competitive. This anti-competitive move is intended to stifle solar energy competition, and why you should consider the competing Floridians for Solar Choice ballot initiative.